This is how I spend my time on the weekends...what does that say about me? I guess for one thing that I really love my job. Standardized testing begins this week. My students are definitely prepared for the testing, but so many of them are stressed about it. 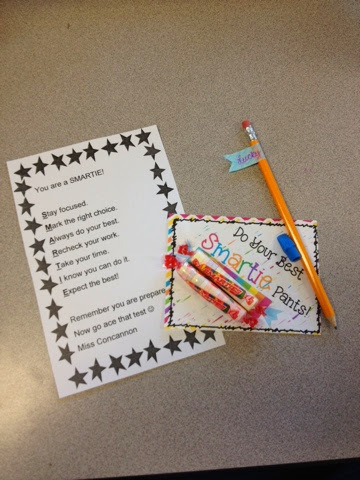 I am trying to alleviate some of that stress by leaving cute surprises for my students. 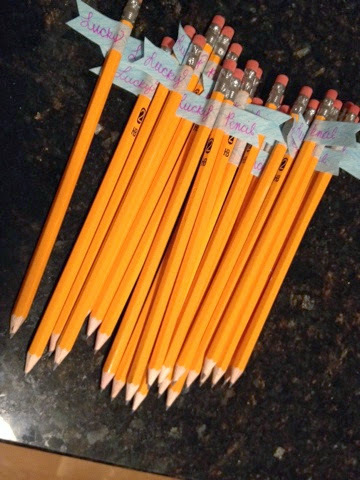 They will have these "lucky pencils" on their desks with pencil topper erasers. This is what they walked into this morning. They were so excited and grateful! 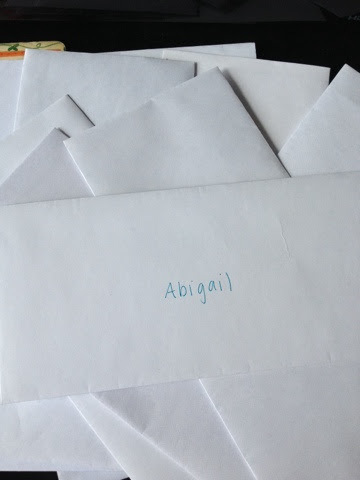 They also had these notes from their parents to look forward to! All in all the first day of testing went very well! I am really proud of their hard work. I can't wait for them to see all the other treats and surprises I have in store for them this week! 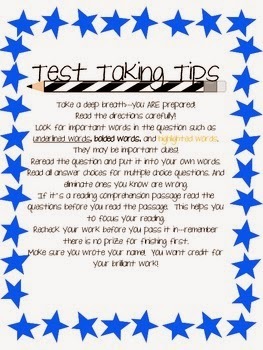 Speaking of testing...check out this freebie at my TPT store...click on the picture to download.